Celebrating all the possibilities that lie ahead, “Fireworks Explode” says, “This is the start of everything you know” and encourages you to shine in this moment. This artrock powerpop piece is particularly enthralling and the hinge point of the album. What follows thereafter is lower key, straightforward rock, beginning with the title track. Pounding drums push through as Theft says, “We do it the hard way… the best way we can.” At this point, Theft sounds ready for the challenge. They soon appear tired though, with the winsome “Shiver” confessing “I want to swim in the fountain where all good pennies are found”, and “Give Up” which elicits more aggravation than empathy. ‘The Hard Way’ ends with lush harmonies telling of past undertakings, saying “You can’t say that we never did try. 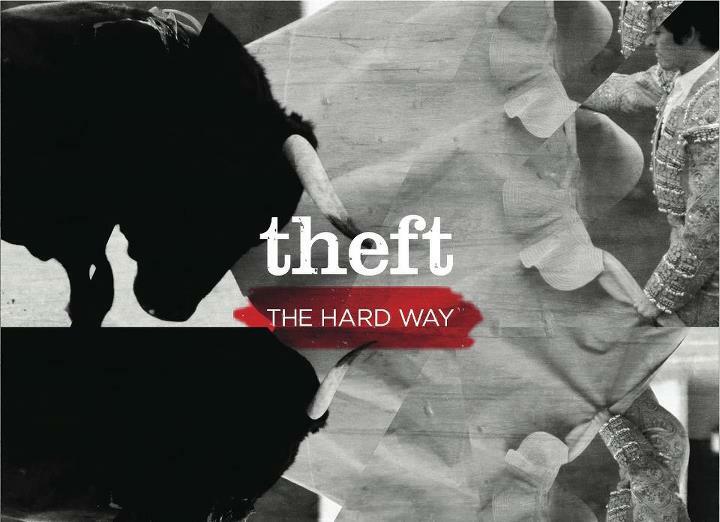 So long, goodbye.” Theft admits that not everything goes the way we hope. In the end, we have to ask ourselves if we are better for the experience, even if we had to do it the hard way.